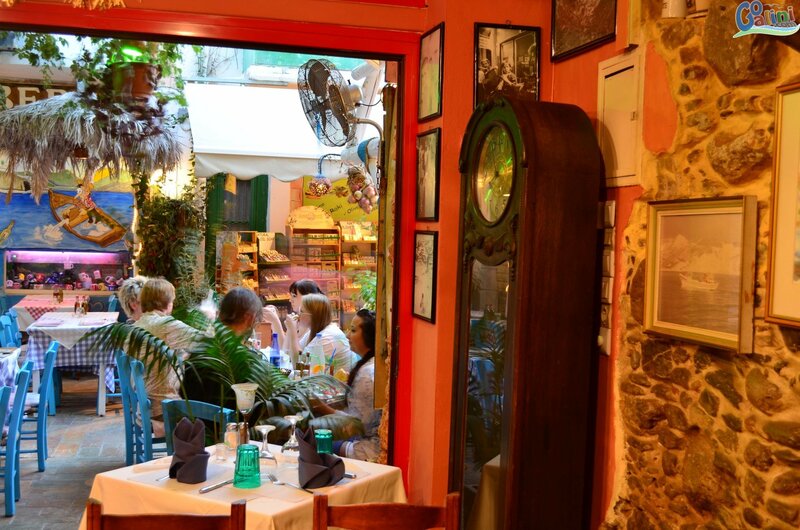 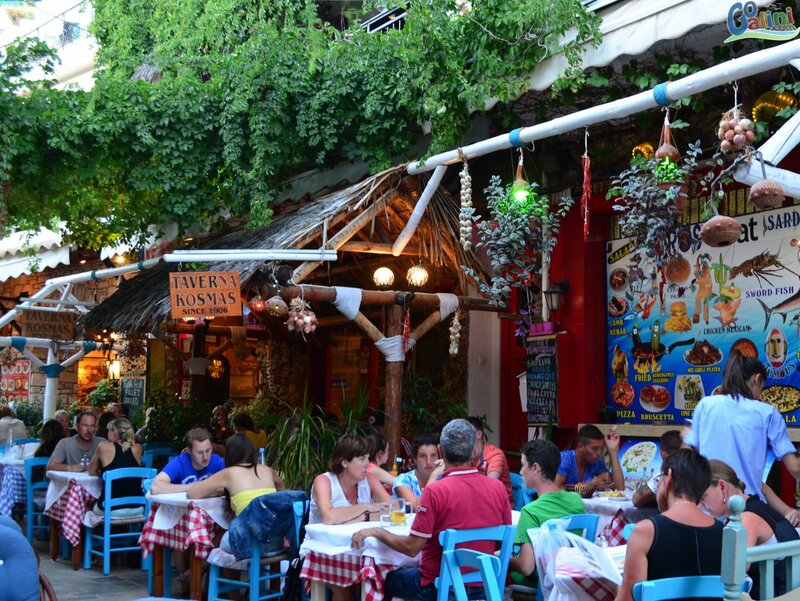 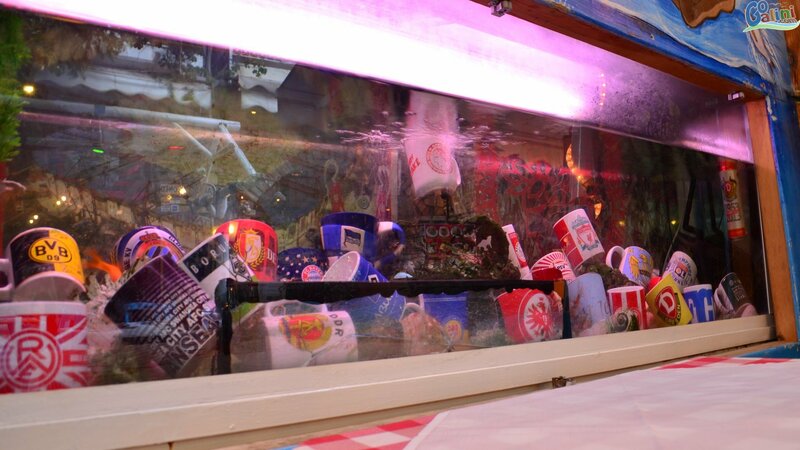 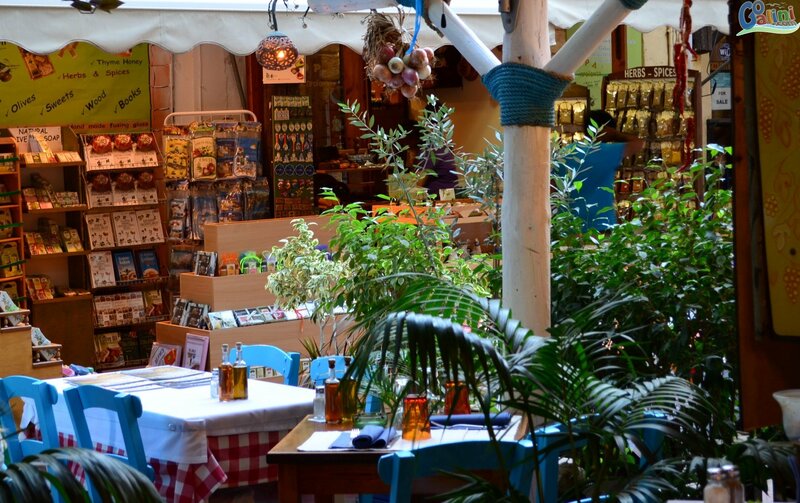 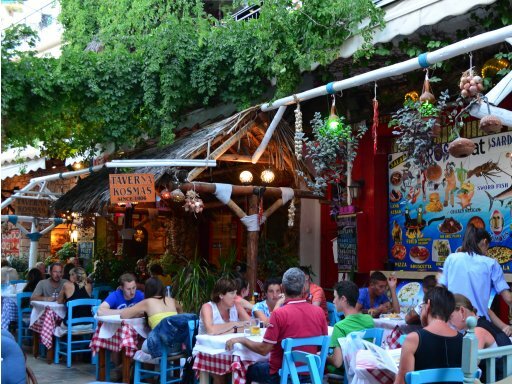 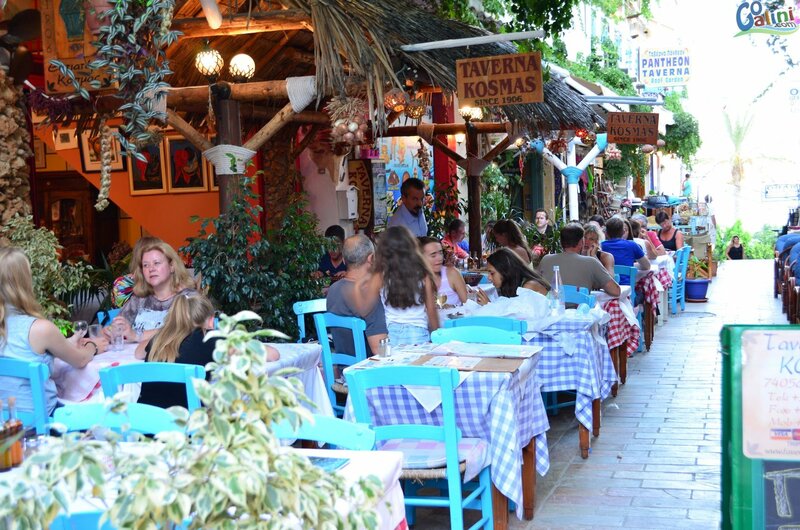 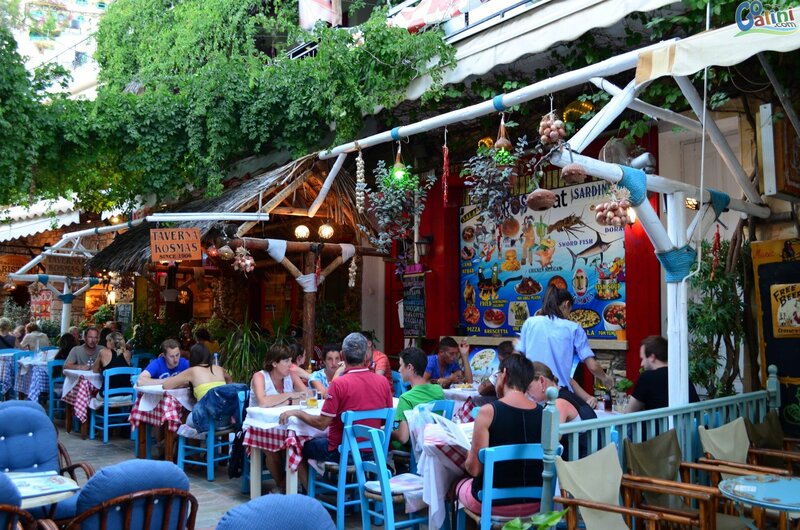 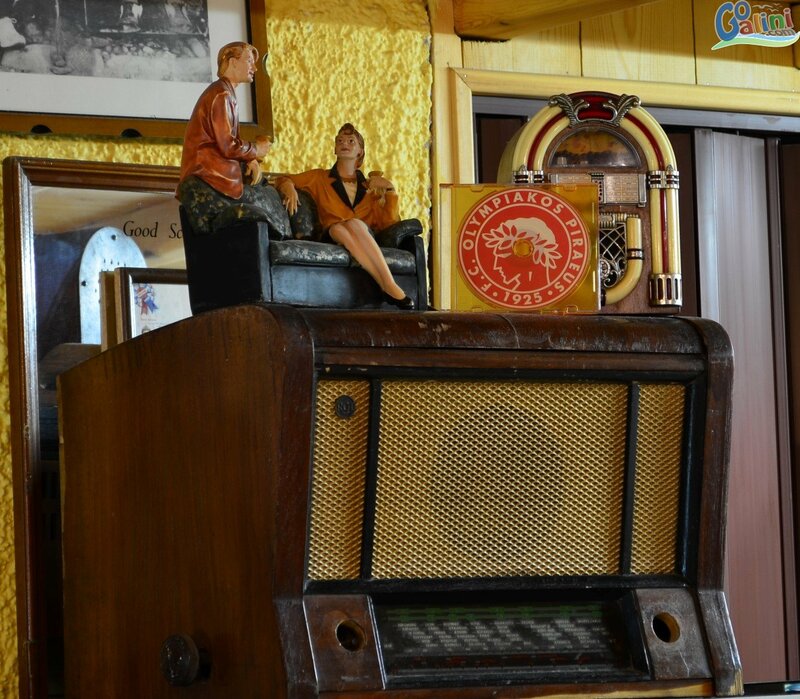 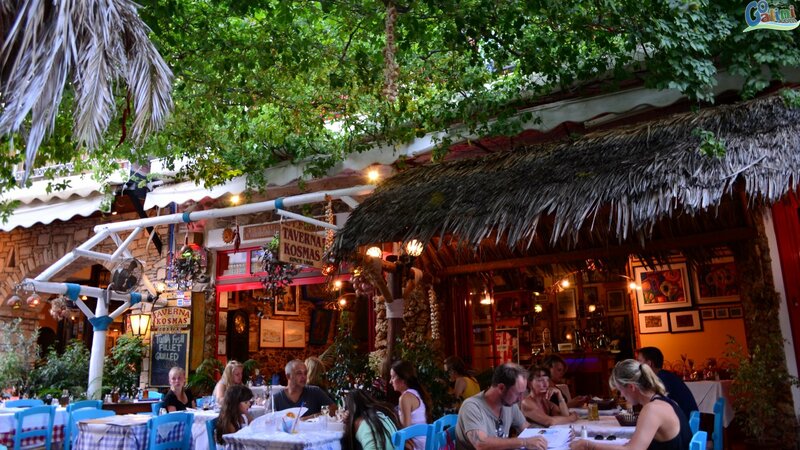 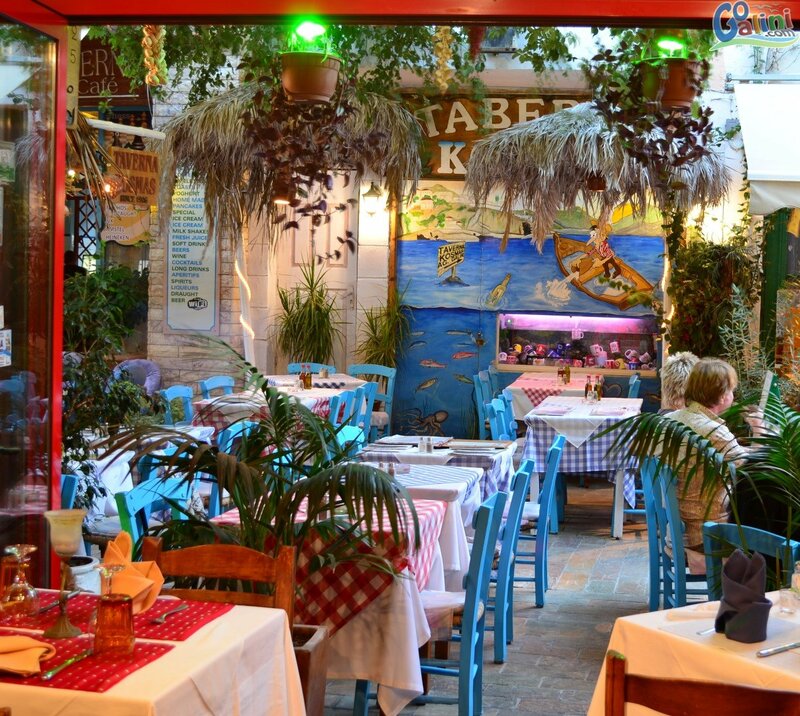 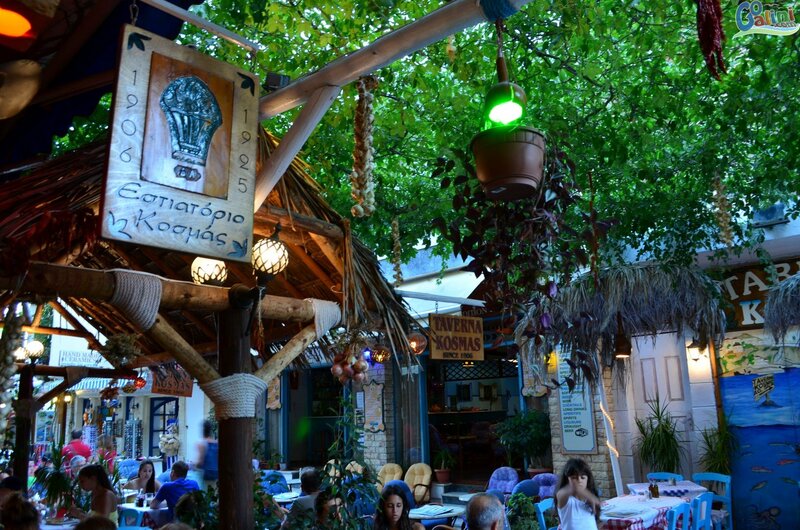 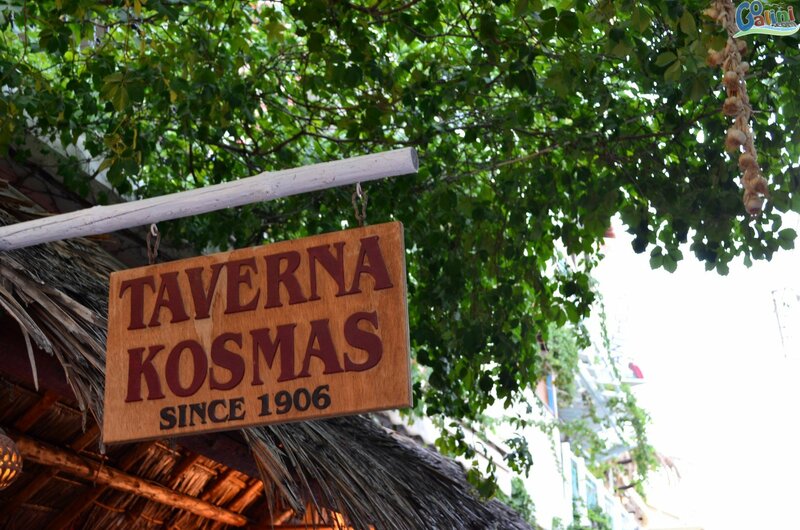 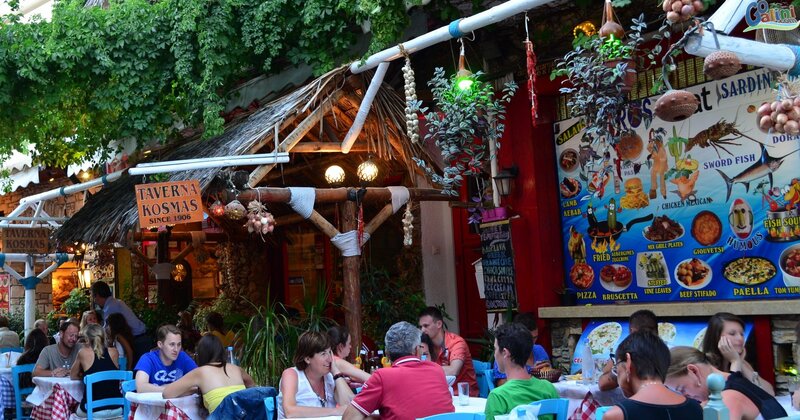 Kosmas Tavern is a family restaurant on the "Agora" street in Agia Galini, one of the oldest streets of the village. 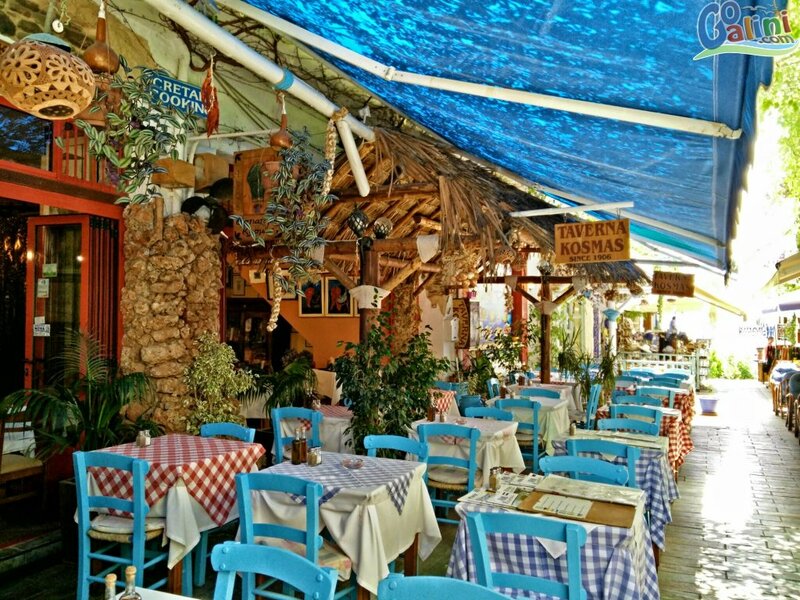 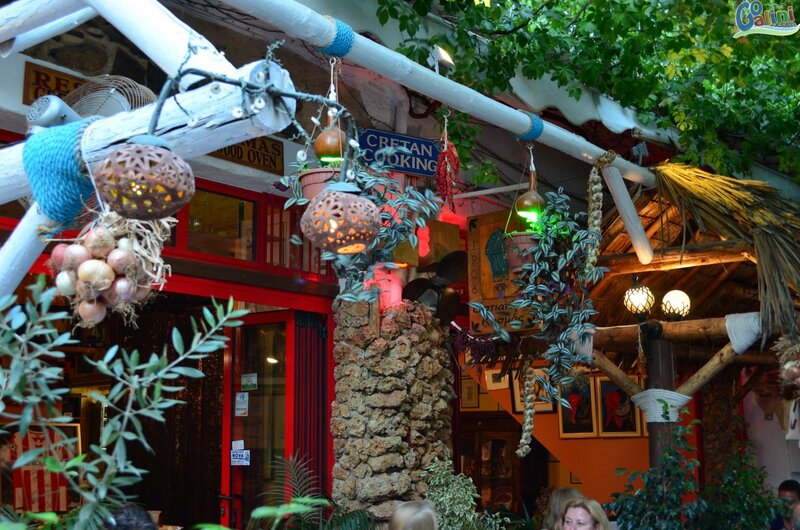 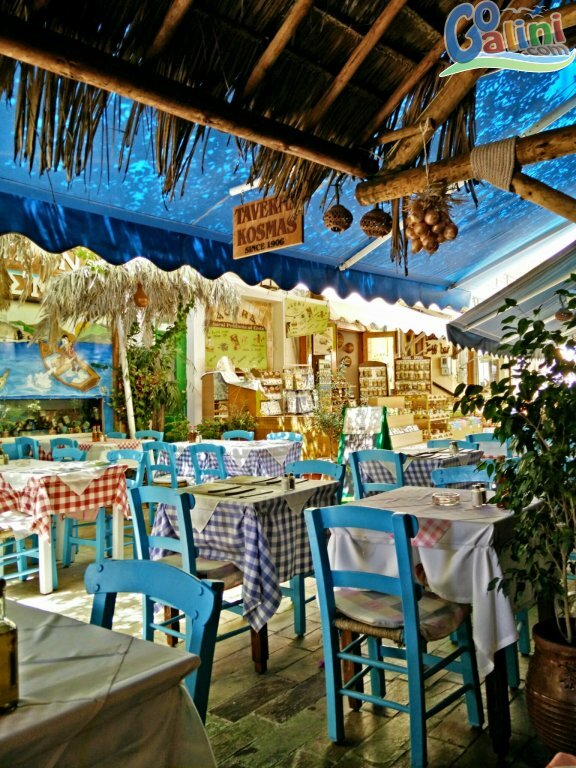 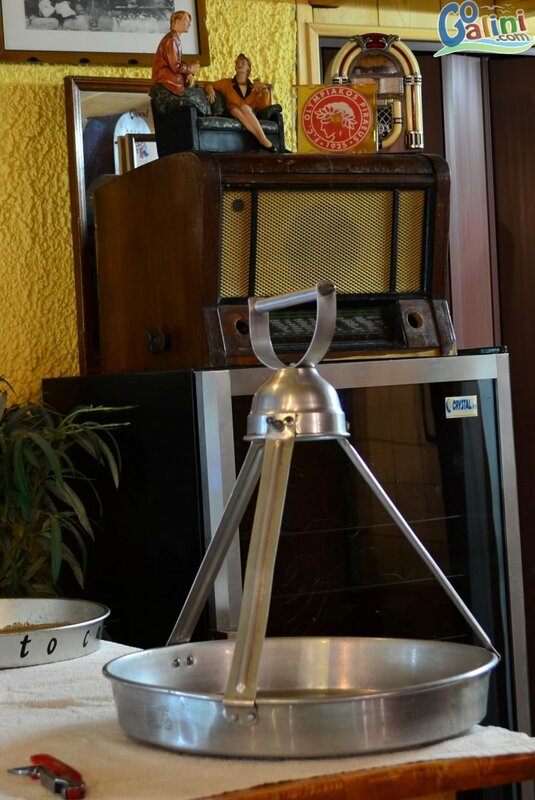 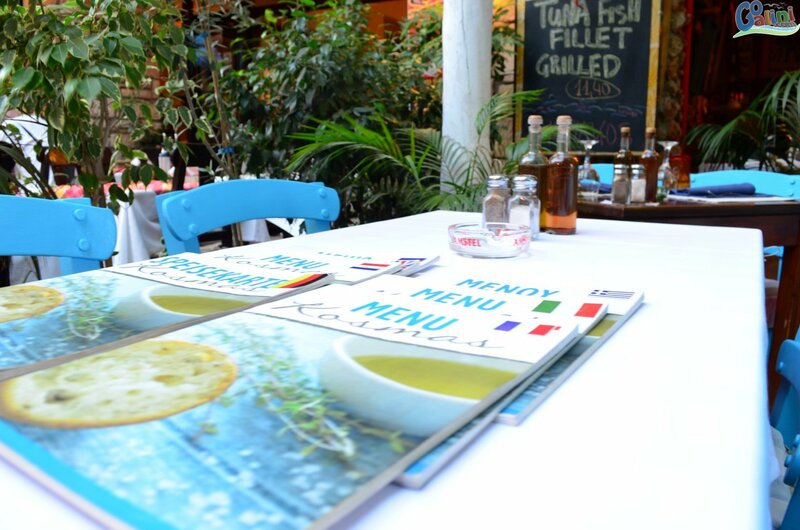 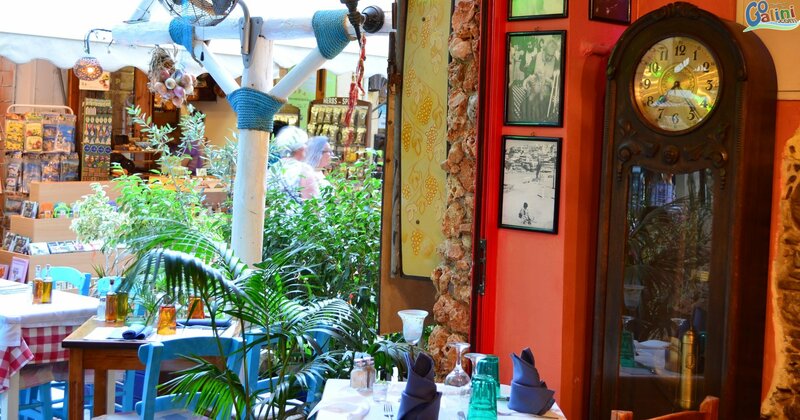 It was founded by the grandfather of the owner in 1906 (Dimos Linoxylakis) and goes until today from generation to generation and continues to serve its customers with delicious Greek cuisine, local Cretan specialties and international dishes. 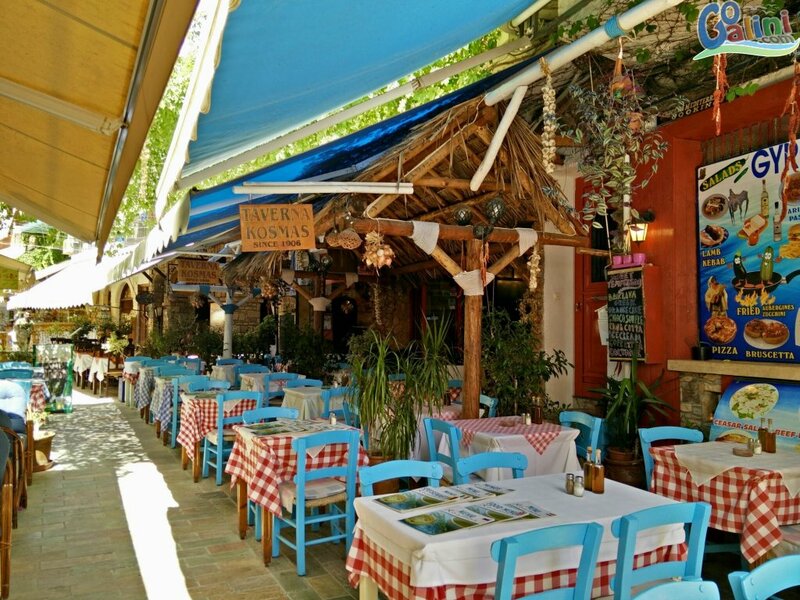 The traditional Greek dishes like moussaka and souvlaki go side by side with local specialties such as goat stew with pasta and grated cheese, traditionally served at Cretan weddings, Antikristo lamb, lamb on the spit and the dish of the day. 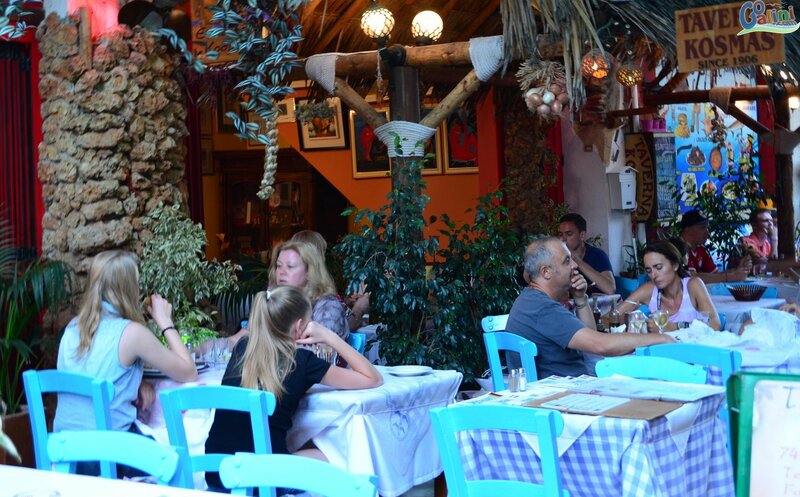 Enjoy the various dishes with a wine from a carefully selected wine list that includes a wide variety of wines from various regions of Greece and the best of the Cretan wines made ​​with local grapes like Mandilari, Kotsifali and Liatiko. 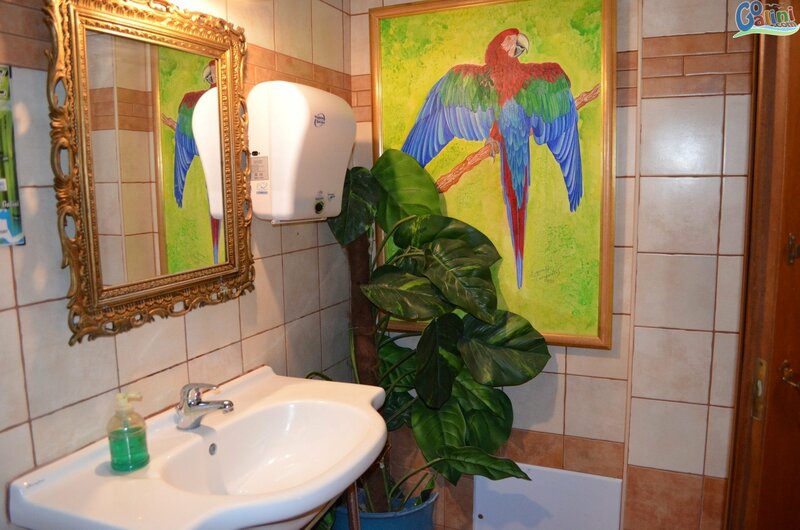 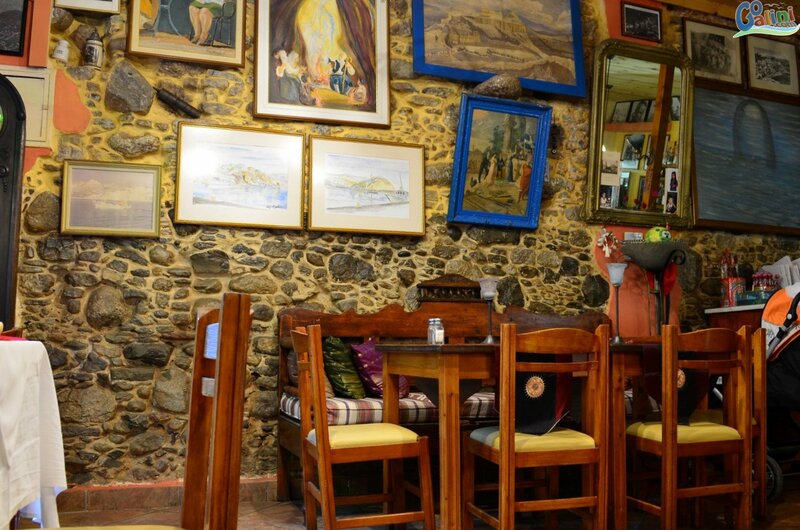 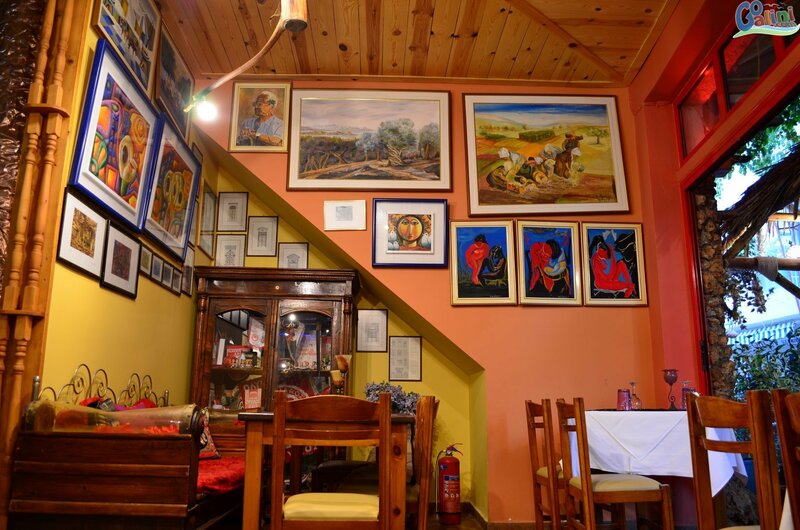 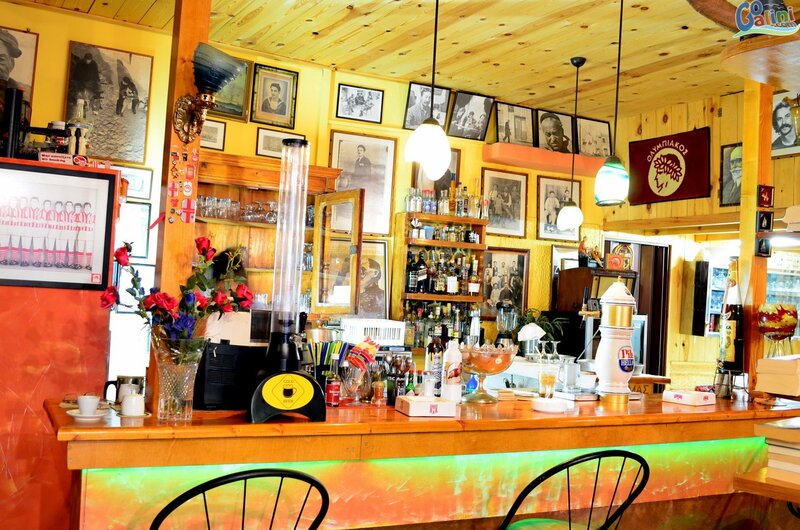 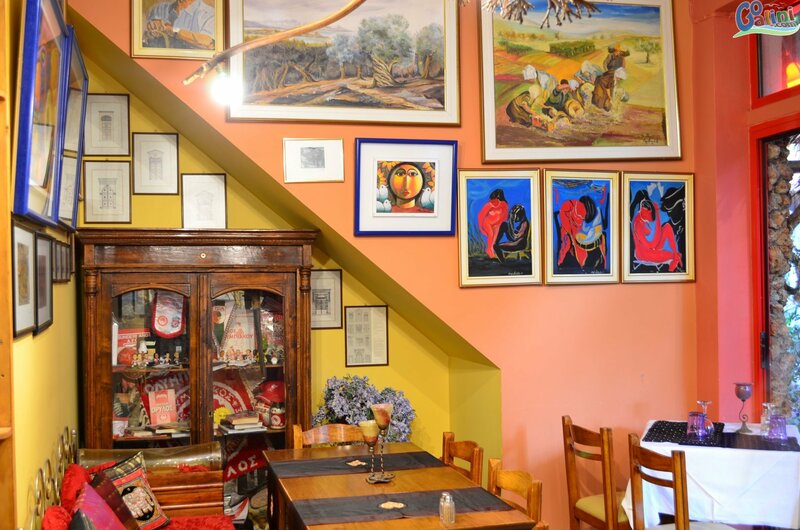 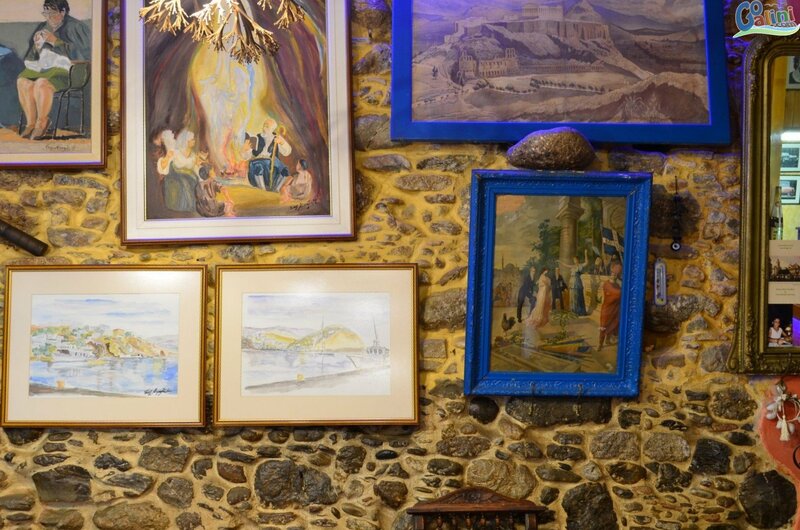 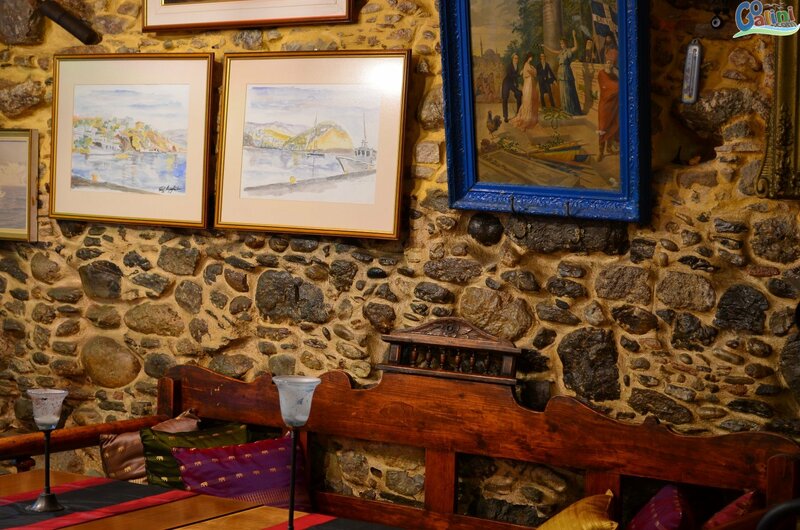 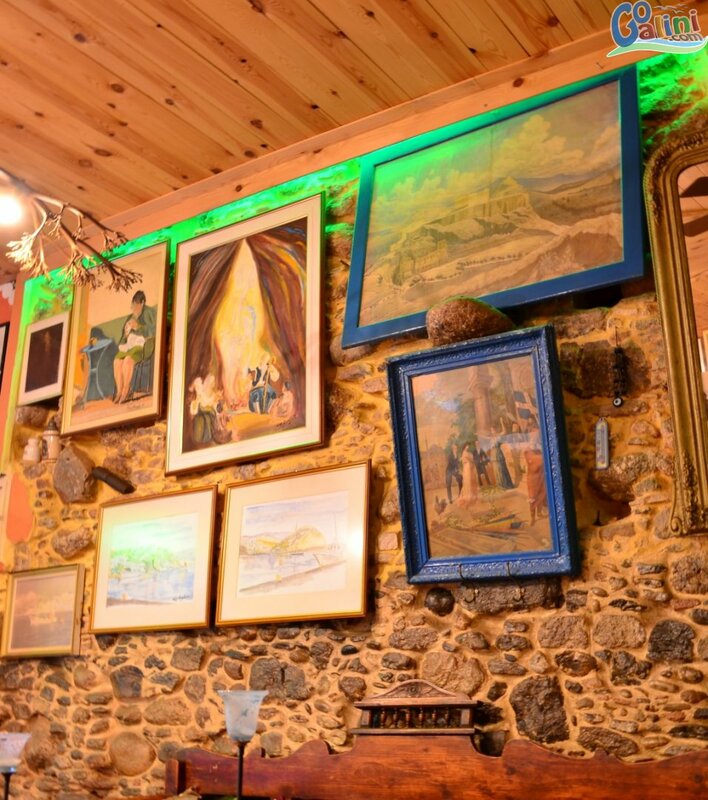 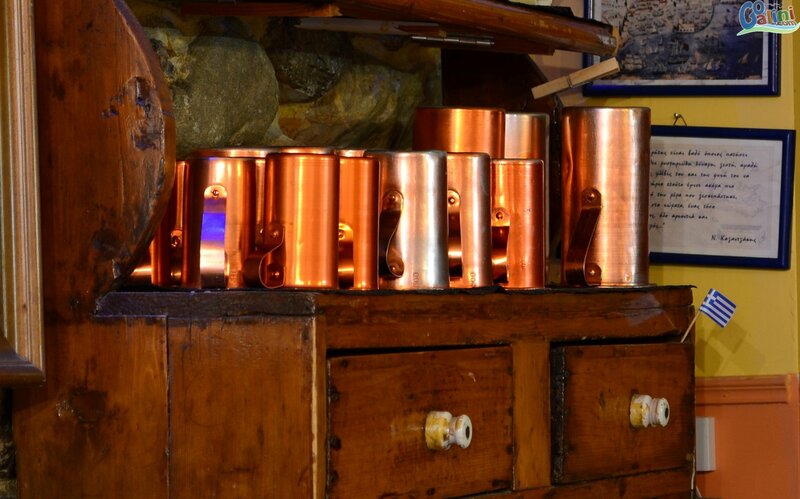 The interior of the tavern is decorated with traditional materials such as wood and bronze, some could say that is a small Gallery with paintings by local artists such as: Farangiatakis Gregoris (the Cretan painter), Kyriazis Angelos, Vlatakis Stefanos, Manolis Papayannakis . 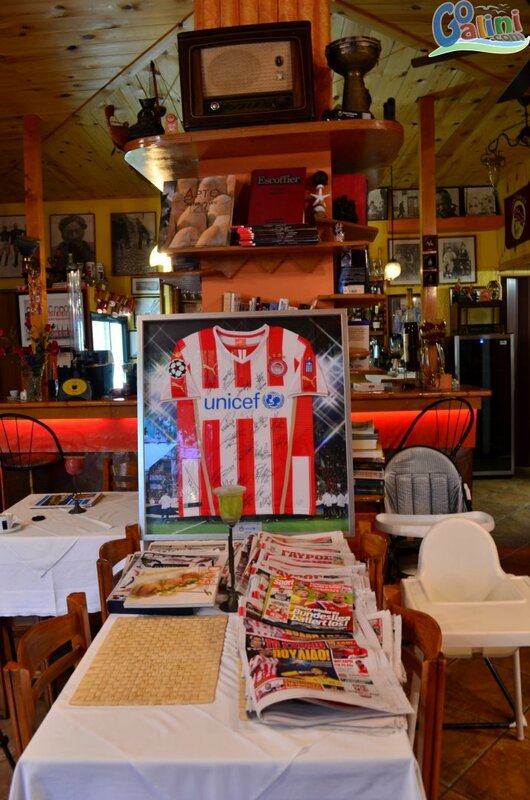 The owner Linoxilakis D. Kosmas has a craze with Olympiacos F.C and so do not be surprised one evening with the anthem of the team in maximum volume. 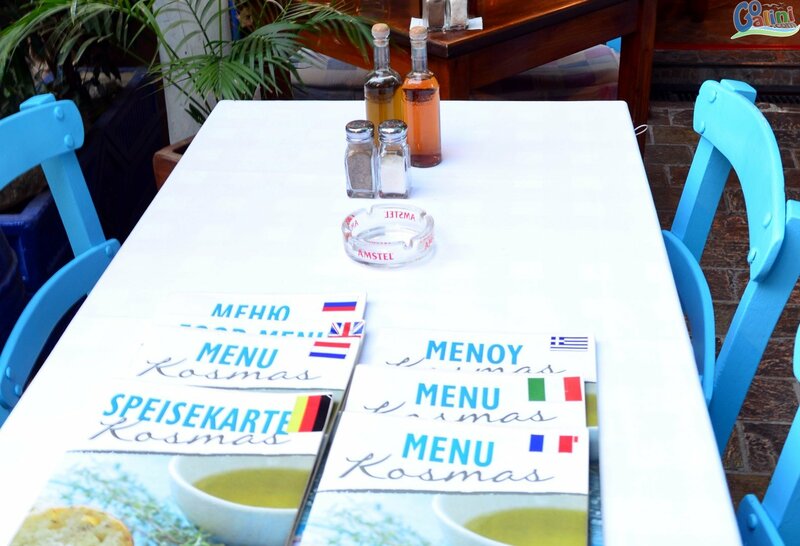 We hope to serve you soon, Kosmas Linoxylakis. 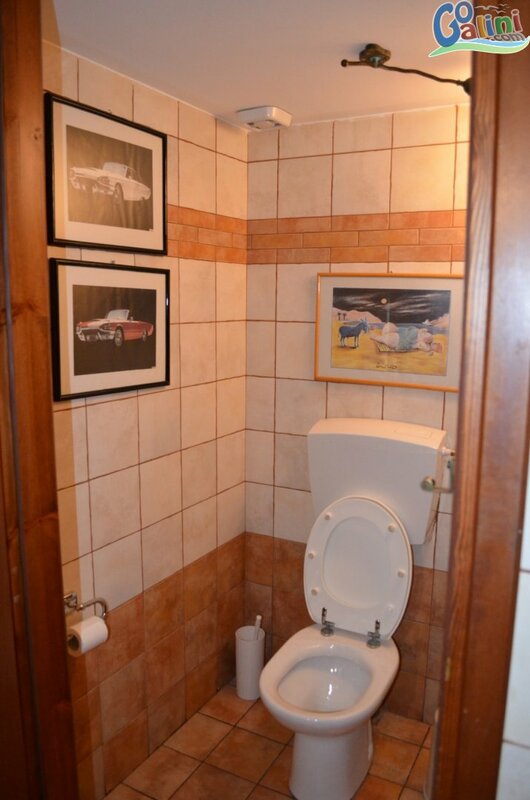 Hallo Babe, let's go south!